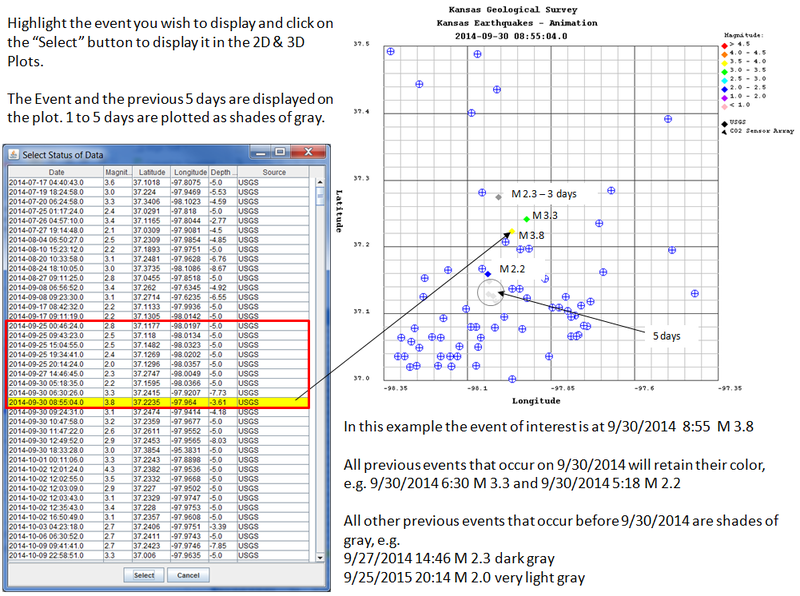 This applet is a animated 2 & 3 dimensional plot of Kansas Earthquakes in Sumner and Harper Counties. 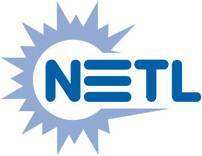 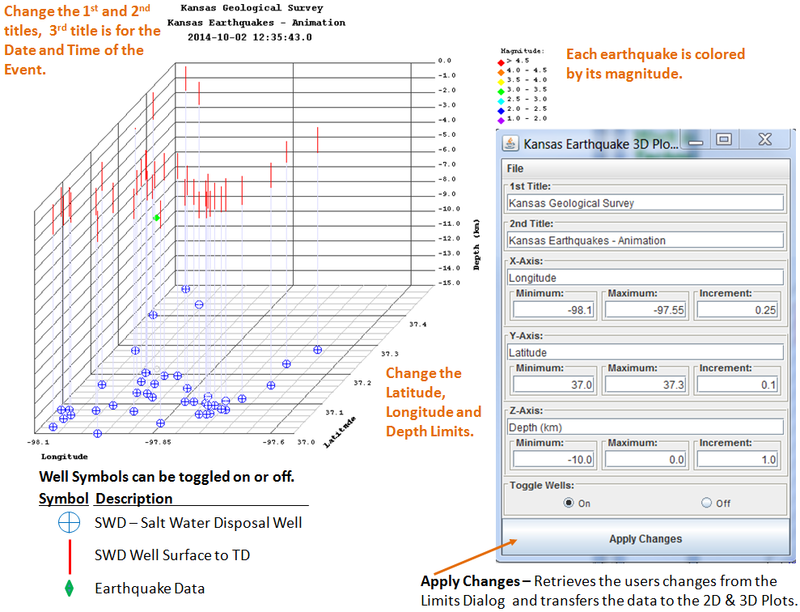 The Earthquake data is stored in the "gis_webinfo earthquakes" ORACLE Database Table on the Kansas Geological Server. 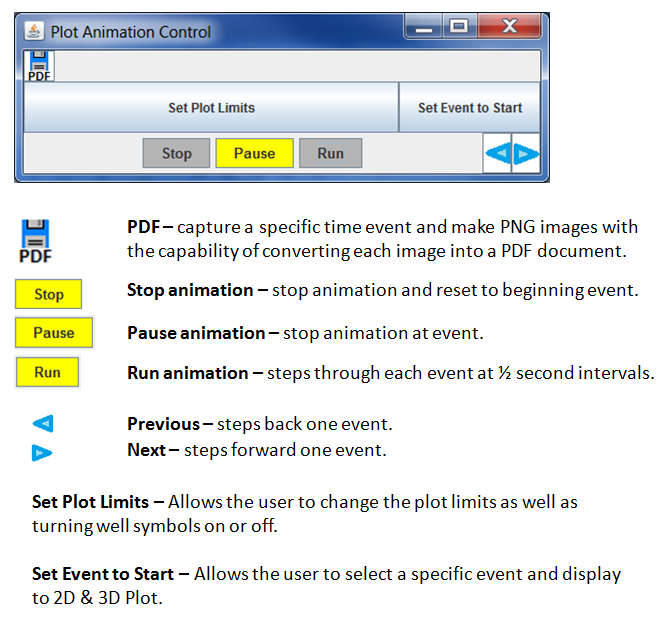 The Animation Control Dialog will allow the user to change the limits of Latitude, Longitude and Depth ranges and to turn on or off the well symbols in the plot.